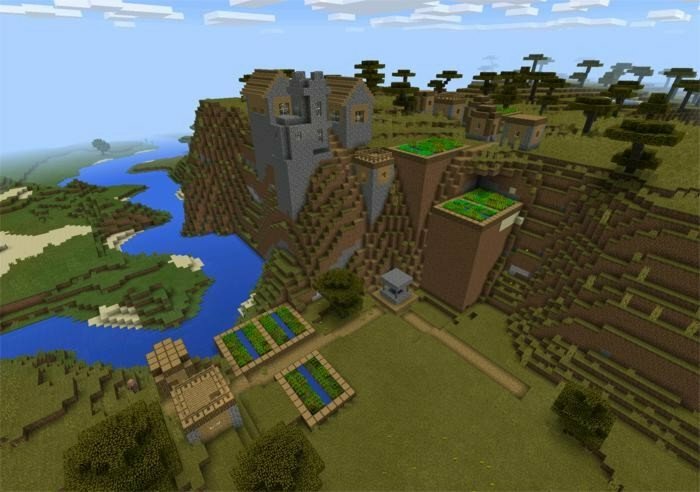 Village that located on top of the mountain in savanna biome, with beautiful view on horizon. There are also a lot of resources that you may find nearby. 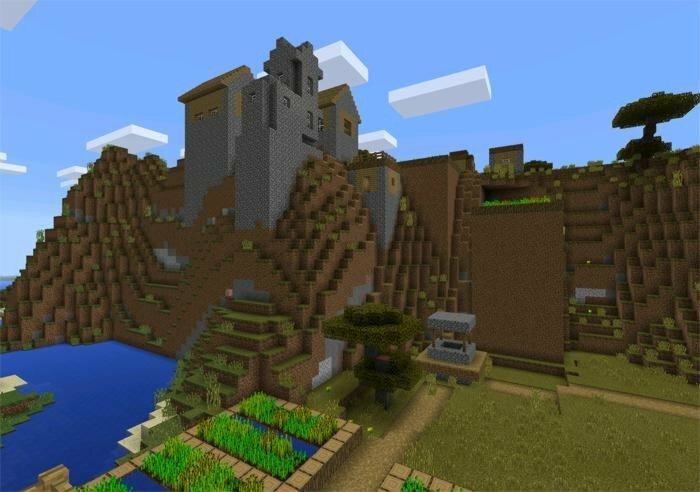 After the spawn you'll see big savannah mountain on your right, just go in a curve to the right near the mountain.